Black edible writer twin pack. Great for chocolate and Fondant. Set of 10 assorted colors. 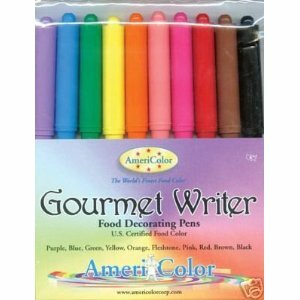 Great for writing on chocolate and Fondant and those cute cake pops! Americolor Gel Paste - Lemon Yellow 0.75 oz.